A long time ago in a galaxy far far away Patty asked me to do a piece for the Museo de las Americas’ “Nativity” exhibit. Mary and Josef Squash begin their Journey from the Garden. Erato visited me as I wondered what other meanings Nativity might have other than the Christian fable, a clear theme of the exhibit. I saw my inner-indigenous baby yelling for attention. 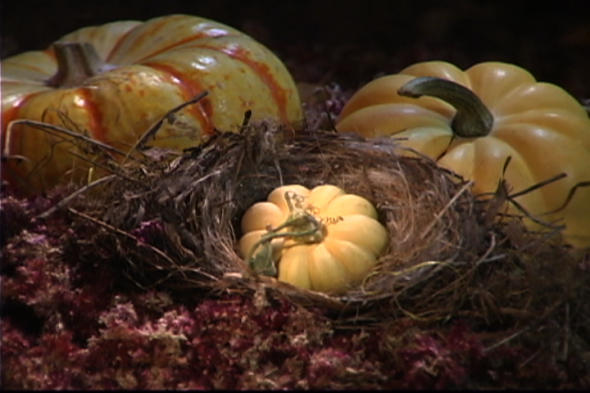 Native, nativity, nativism share an idea … And so… vegetables! American indigenous vegetables! Squash, tomatoes, chiles, potatoes, quionoa! (Not to mention chocolate.) I mean, what did Europeans eat before they came here? I digress. 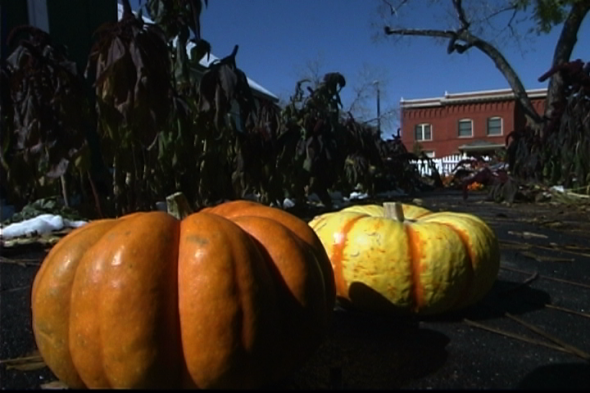 Mary and Josef Squash seek shelter on America’s longest Avenue, Colfax, and are visited by the three wise gourds. The movie is totally, completely and joyously silent. Feel free to think what you want, no music to tell you how to feel. This entry was posted on Monday, September 20th, 2010 at 4:44 pm	and is filed under Video Gallery. You can follow any responses to this entry through the RSS 2.0 feed.